Many of the apps on your iPhone can automatically integrate with some of your other apps. This is very common with social media apps, such as Twitter. That integration makes it convenient for you to share information from app with another. So if you are browsing the Internet through your Safari app and find a Web page that you want to share on Twitter, you can do so with just a couple taps of a button. 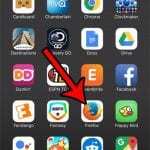 Our tutorial below will show you how to share Safari links through Twitter by taking advantage of the integration that is included between these two apps on your device. The steps in this article were performed on an iPhone 6 Plus, in iOS 8.4. The steps are the same for other iPhone models running the same version of iOS, however these steps may vary slightly for people that are using an earlier version of iOS. The tutorial below will assume that you already have the Twitter app installed on your iPhone. This article will show you how to install a new app on your iPhone. If you have the Twitter app installed on your iPhone but do not see the icons referenced below, then you may need to add the Twitter sharing option. This guide will show you how. Step 1: Open the Safari app. 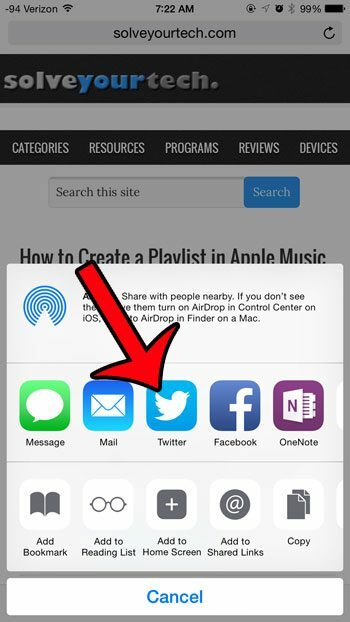 Step 2: Find the Web page that you want to to share, then tap the Share icon at the bottom of the screen. 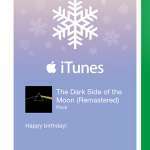 If you do not see the Share icon, then scroll to the top of the Web page until the menu bar appears. Step 3: Tap the Twitter icon. If you do not see the Twitter icon, then tap the More button, turn on the Twitter option, then press the Done button. 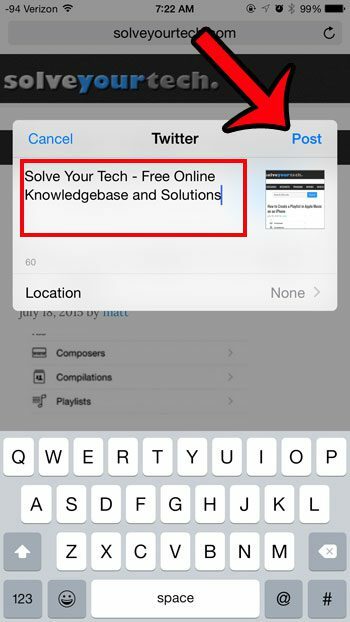 Step 4: Modify the text that will be posted along with the link, then tap the Post button at the top-right corner of the window. Have you noticed that the Twitter app will start playing videos automatically? 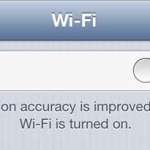 You can read here to learn how to turn off that setting.